Early July and recent heavy rainfalls of unprecedented intensity caused flash floods in several parts of the country, affecting hundreds of households. Bayan-Ulgii, Selenge and Tuv aimag are badly affected by flash floods caused by recent heavy, quick rainfalls, according to the National Emergency Agency of Management on July 18. The National Agency of Meteorology and Environment Monitoring (NAMEM) has issued warning for herders, farmers, entities, organizations and citizens to be cautious and take actions to prevent risks as more rainfall is expected in the end of this week and early next week. Reportedly, 2512 citizens of some 530 households in Bayan-Ulgii aimag are affected by flooding caused by heavy rain occurred on July 15-16. 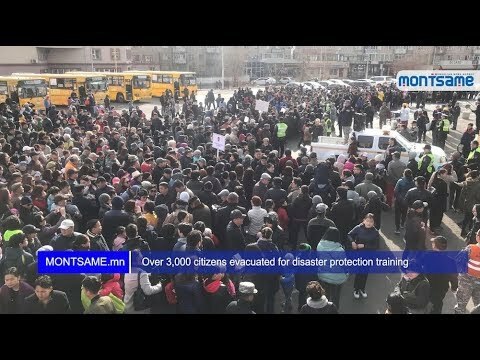 So far, flood recovery operations are underway with participation of over 600 people from the professional organizations such as the Mongolian armed force, the NEMA, Police Departments. Moreover, international organizations such as Red Cross, ADRA and the World Vision have started rendering aid to flood victims. As of today, 170 citizens received medical assistance. Prior to this flood, Bayan-Ulgii aimag also affected by severe flood in 2016. Back then, flood damage totaled MNT 2.2 billion. However, it is said that the recent flood damage is estimated at MNT 10 billion, which is four to five times more than the previous one. Officials said that Bayan-Ulgii aimag is located in depression, which is prone to flood. In Tuv aimag, 70 households and 10 entities were flooded as well as bridge of Shavartai and its pillars were badly damaged by flood on July 17. The Emergency commission of Tuv aimag and Tuv AZZA Company are taking actions to rehabilitate road en route Ulaanbaatar –Darkhan and clean the flooded area of mud, debris and to drain the flood water. During the press briefing, the NEMA authorities said that rescuers have saved more than 30 lives during the heavy rainfalls. Now, 360 officials from professional organizations are participating in recovery operations, using over 100 vehicle and equipment. The flooding also occurred in the capital city. On July 17, the NEMA received over 90 emergency calls from citizens of Bayanzurkh district following the rain. Unfortunately, two citizens of Bayanzurkh district lost their lives due to the heavy rain. As of today, the NEMA rescuers are working in flooded areas, dispersing flood waters. Moreover, roads were heavily damaged by flash flood in Sukhbaatar aimag on July 17. In relation, road rehabilitation work has commenced. Engineer in charge of water level observation of the NAMEM S.Sarantsatsralt said that river water levels are increasing these days due to the nationwide heavy rain. 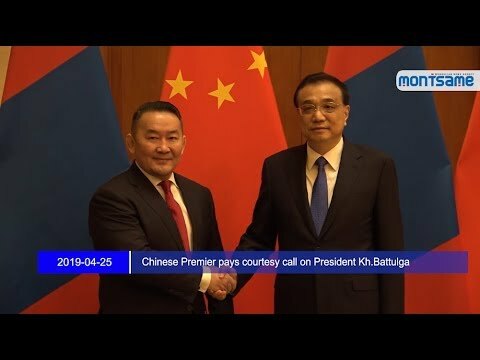 In connection with this, most rivers and lakes of Mongolia are flooding. For instance, as of today, water levels are increasing 20-45cm above average in Khovd, Buyant, Sagsai and Turgan rives that flows from the Altai mountain range and Bogd, Chigestei, Orkhon river and Selenge lake from Khangai mountain range. Therefore, these rivers have risen above flood stages. Furthermore, temporary strong heavy rainfall is expected in nationwide in the forthcoming days. It is expected that the intensification of extreme rain and the amount of rainfall will cause small rivers to overflow their banks, increase in water level and strong flood. In this regard, parents are advised not to allow their children to go to rivers without parental control and take special care of their children. Most of river flooding and rainfalls occur in July. Currently, water levels are reaching 176-358 cm in Delgermurun, Eg,Beltes, Bugsii and Orkhon rivers; Ider, Chuluut, Suman and Selenge; Kherlen, Tuul, Terelj, Kharaa, Yuruu and Onon rivers. However, it is expected that water levels in most rivers and lakes are lower than average of several years or near the average. The NAMEM informed that intensification of precipitation and amount of rainfall are increasing intensively so flash floods are occurring. Rains along with thunder and lightning are expected in most areas of western and central aimags, and in some areas of eastern aimags on July 19-20, and in some areas of western, central and eastern aimags on July 21-22. Wind will get stronger in southern parts of western aimags on July 19, in Gobi and prairie areas on July 20-21, reaching 14-16m/s. 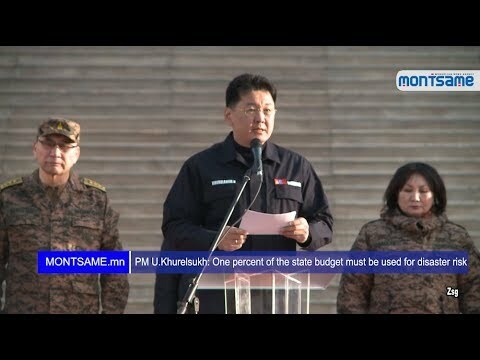 In the depression of Darkhad, in mountainous areas of Mongol-Altai, Khangai, Khuvsgul and Khentii, in the head of Zavkhan river, in the basins of Terelj river and Khuren belchir, the nighttime temperature will be +4 to +9 degrees Celsius and the daytime temperature will be between +16 and +21 degrees Celsius. The daily highs will hit +30 to +35 degrees Celsius in southern Gobi of Altai, in southern parts of Gobi region and in prairie areas of Dornod and Dariganga while the nighttime temperature will be relatively hot at +17 to +22 degrees Celsius. In other areas, the nighttime temperature will be +12 to +17 degrees Celsius and the daily highs will peak at +28 degrees Celsius respectively. In western aimags: Temporary heavy rain with loud thunder and lightning is expected in northern parts on July 21-22. In some areas, wind will get stronger before the rain. in Mongol Altai mountain range, mountainous areas of Khangai, in the head of Zavkhan river, in southern gobi of Altai, the nighttime temperature will be +15 to +20 degrees Celsius and the daytime temperature will be between +27 and +32 degrees Celsius. In other regions of western aimags will get up to +19 degrees Celsius and it will reach +24 degrees Celsius whereas the nighttime temperature will be +8 to +13 degrees Celsius. The temperature will rise in remaining time of the forecast. Mongol Altai mountain range will have cooler nights between +7 and +12 degrees Celsius and the daily highs will hit +24 degrees Celsius. Southern gobi of Altai will see the nighttime high of 23 degrees Celsius and the daily highs will be +30 to +35 degrees. In other regions, the nighttime temperature will be +12 to +17 degrees Celsius and the daytime temperature will be +23 to +28 degrees Celsius. In Central aimags: heavy rain along with thunder and lighting is expected in most areas of central aimags on July 20. Temporary rain will fall in some areas on July 21-22.Wind will blow from northwest in July 20, reaching 12-14m/s and it will get stronger before the rain. On July 19-20, the nighttime temperature will be +8 to +13 degrees Celsius and the daytime temperature will be between +19 and +24 degrees Celsius in the depression of Darkhad, in mountainous areas of Khangai, Khuvsgul and Khentii. Other regions of central aimags will have relatively warmer nights at +14 to +19 degrees Celsius and will get up to +28 degrees and it will reach +33 degrees Celsius. In the remaining time of the forecast, the depression of Darkhad and, mountainous areas of Khangai, Khuvsgul and Khentii, and Terelj river will have cooler nights at +5 degrees. In eastern aimags: Temporary heavy rain along with thunder and lightning will fall in most areas of eastern aimags on July 19-21 and in some areas on July 18 and July 22. Wind will get stronger temporarily in most areas on July 20-21, reaching 14-16m/s. It is expected that wind will get stronger before the rain. In most period of the forecast, the nighttime temperature will remain between +7 and +12 degrees Celsius in northern parts of eastern aimags and these will have the daily highs at +24 degrees Celsius. Other regions will get up to +25 degrees Celsius. On July 20-21, temperature will rise up to +33 degrees Celsius in northern parts of eastern aimags. In Gobi aimags: Temporary rain with thunder and lightning is expected in some areas of gobi aimags on July 21. Wind will blow from northwest, reaching 14-16m/s. In remaining period, it will get stronger temporarily. The nighttime temperature will be +11 to +16 degrees Celsius in areas of Dundgobi aimag and the daytime temperature will be +24 to +29 degrees Celsius. In other regions, the nighttime temperature will be +15 to + 20 degrees Celsius and the daily highs will peak at +32 degrees Celsius. Temperature will hit +35 degrees Celsius on July 18-20. 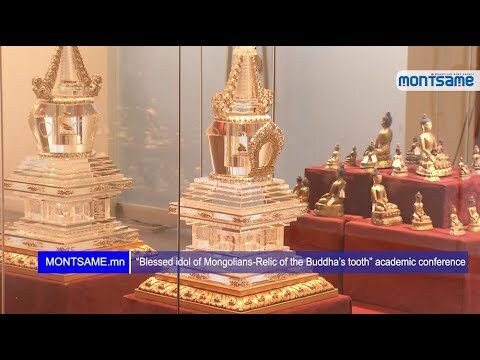 The article was published on the 29th issue of the Mongol Messenger on July 20.